Perched on a hill just a short walk away from popular, stylish St. Jean Beach, charming Village St. Jean earns kudos . . .
Perched on a hill just a short walk away from popular, stylish St Jean Beach, charming Village St Jean earns kudos from Hideaways members for its ideal location and affordable rates. This intimate cluster of cottages is set among flowering gardens, to afford extra privacy in a peaceful setting. Each spacious unit offers a fully equipped kitchen and private deck/terrace with dramatic bay views. 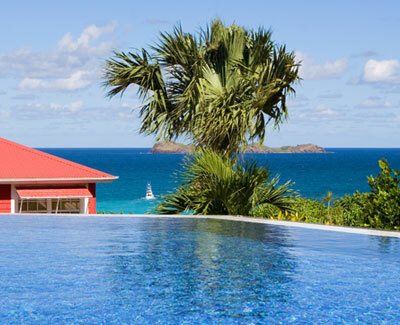 Resort amenities include a sun deck with swimming pool and whirlpool, restaurant, and mini-mart, all within easy access of St. Barth’s fine shopping, varied beaches, and excellent French restaurants.